Imran Khan should know learning English and Math did not deter Osama bin Laden from becoming a terrorist, they won’t deradicalise others. The author is the director for South and Central Asia at the Hudson Institute in Washington D.C., was Pakistan’s ambassador to the United States from 2008-11. His latest book is ‘Reimagining Pakistan’. Imran Khan is caught between a rock and a hard place. He has had a soft corner for the Taliban and other jihadists and without their support could never have won the 2018 elections. Without support of the powerful military establishment he will be persona non grata in a jiffy, everyone including Khan knows it. Khan can only do what the military wants him to, he is a zero without them. PM Imran Khan’s statement to New York Times is either with the approval and blessing of the all powerful the Armed Forces Establishment or his days as the PM are numbered. This latest statement of PM Imran Khan is either has the blessing and approval of the all power military establishment to avoid further FATF sanctions or his days as PM are numbered. Our basic problem is that we fail to understand who promoted Imran Khan! If we do understand that it is the Army establishment which under the changed conditions, cannot rule directly; have prompted Imran to promote their cause, as the other alternate was Nawaz Sharif. Army establishment can not give up Haqqani’s (just today the Provincial Govt. of Imran Khan has transferred large sum of amounts from PSDP to Haqqani Maddrsah. Army Establishment can not give up Masood Azhar and it went all out to reach China to stop declaration of him as international Terrorist. Army Establishment can’t give up Hafiz Saeed and its organization to keep India engaged in Kashmir as their extended arm. Now problem is that Army Establishment is short of funds & is begging from IMF. Take care of it too! I Agree with you – Any evidence of “just today the Provincial Govt. 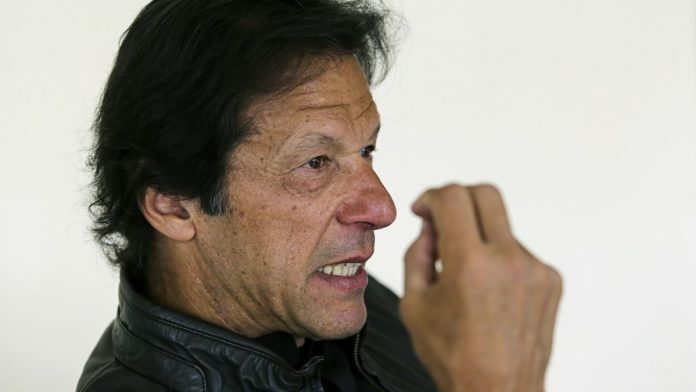 of Imran Khan has transferred large sum of amounts from PSDP to Haqqani Maddrsah.” A link? •Taqiyya (Shia) or Muda’rat (Sunni): tactical deceit for the purposes of spreading Islam. •Taysir: deceit through facilitation (not having to observe all the tenets of Sharia). •Darura: deceit through necessity (to engage in something “Haram” or forbidden). It at least acknowledge that Pakistan has had use for them in the past. If this is not a complete misreading of the situation, PM Imran Khan, left to himself, would not be doing some of these crazy things. He knows the disposition of power, so he will move only so much in the right direction as is practically possible. Son of soil (Husain Haqanni) is right at some extent level. It is because state institution has double standard and Judiciary system are weak due to that country faced such situation. SCP has no role than puppet.